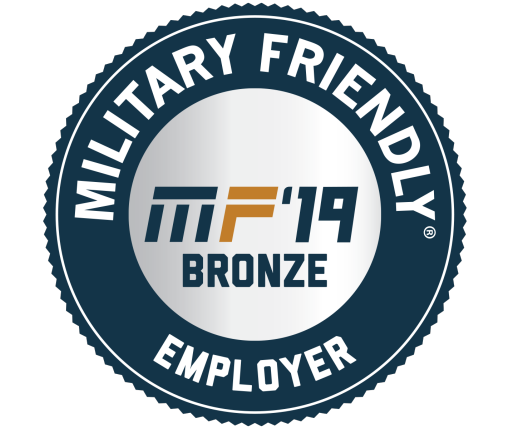 RESEARCH TRIANGLE PARK, NC— RTI International has been recognized as a Military Friendly® Employer for creating meaningful employment opportunities for the military community. To improve opportunities for veterans, RTI’s Global Talent Acquisition Team holds veteran networking sessions as part of recruitment efforts for military veterans and collaborates annually with Army Civil Affairs to help veterans transition to the nonprofit sector. Last year, RTI empowered its veterans and allies Employee Resource Group (RTI VALoR)—comprising more than 60 members from across the organization of 5,000 employees—to partner with the North Carolina Military Foundation and North Carolina for Military Employment to advance veteran issues within RTI, while spending volunteer time supporting community outreach projects in the Triangle area of North Carolina. Other recent RTI military-focused efforts include partnership with the Travis Manion Foundation (TMF). In 2017, RTI joined forces with TMF to bring TMF’s Character Does Matter program to North Carolina. TMF empowers veterans and the families of fallen heroes to develop character in future generations. RTI’s long tradition of military- and veterans-related research has sought to strengthen military families, relieve post-traumatic stress disorder, understand health behaviors among veterans and active-duty servicemembers and more. To support U.S. service members, RTI has been leading a study on a medical procedure called Stellate Ganglion Block, which offers the potential for fast-acting symptom relief for posttraumatic stress disorder. Since 2003, the Military Friendly® Employers list has provided a yearly comprehensive guide for veterans and their spouses using criteria developed by Ernst & Young for VIQTORY, a service-disable, veteran-owned small business, that connects the military community to civilian employment, educational and entrepreneurial opportunities. More than 8,800 employers nationwide are evaluated based on public data sources and survey responses. Learn more about careers at RTI and discover the RTI Difference.